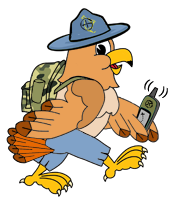 OCNA Blog Note: Ken, former co-host of the old HikerJamz Geocaching Talk Show on Blog Talk Radio calls in! There is also a photo page on Flikr for episode 33. Don’t forget to send us some words for our word puzzle! Give yourself and your children something to do on a rainy day. Have a great week, be safe and see you next week!